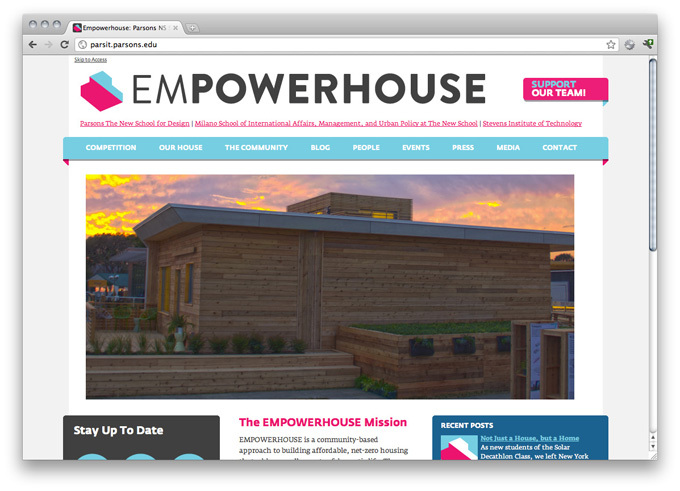 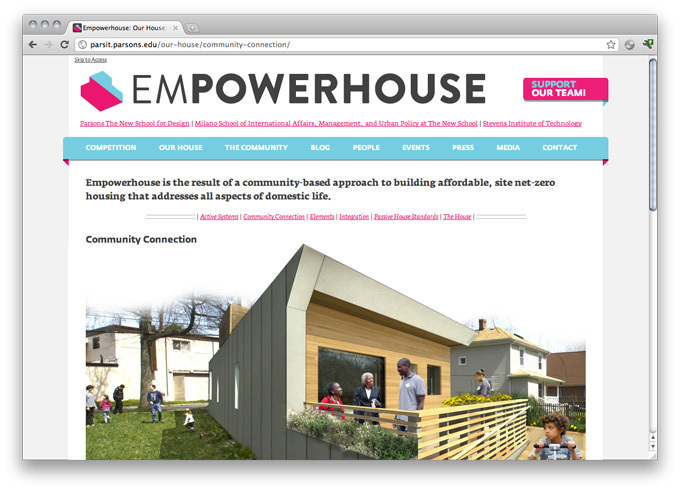 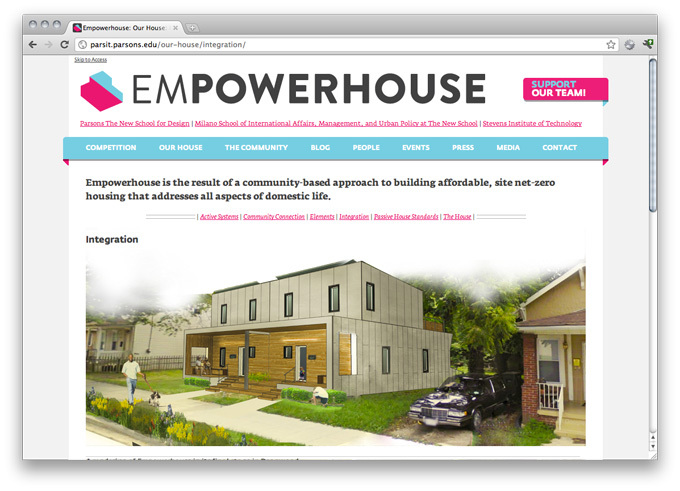 The EMPOWERHOUSE collaborative, (the Parsons, NewSchool and Stevens Solar Decathalon Team) was in need of a website to talk about their findings, outings and project updates. 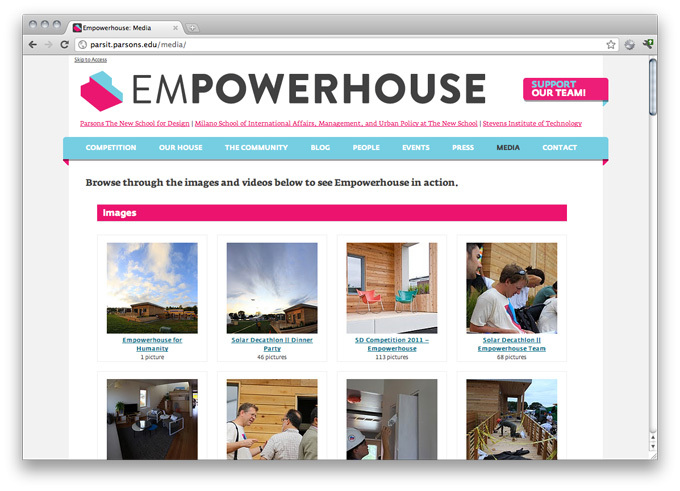 I was brought in to design and develop a website that could be easily updated and maintained. 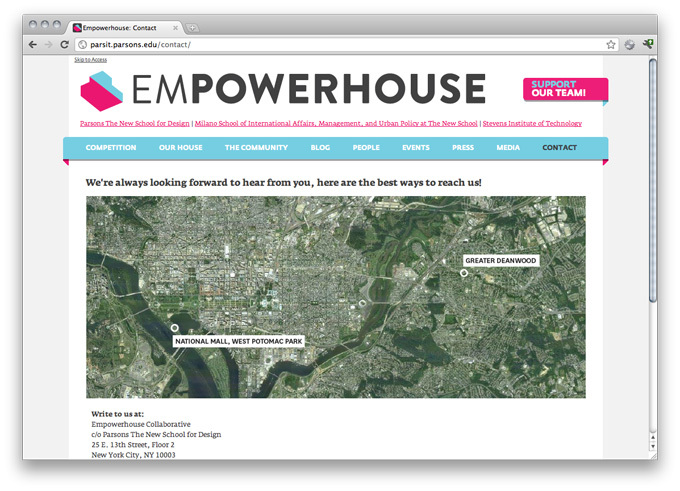 Using wordpress I created a custom theme with a variety of unique wordpress hacks, in order to get the most out of the CMS.